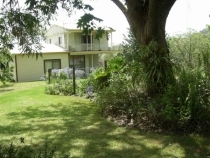 Fully self contained two bedroom cottage on scenic acres. Relax and enjoy the beautiful Mid North Coast. Spectacular scenery and friendly people. We are between Gloucester/Barrington Tops and the beach and waterways of Forster/Tuncurry. Only five minutes to the quaint village of Krambach which boasts a swimming pool, tennis courts, 9 hole golf course, Service Station and a country Pub with eat in or takeaway meals. Spot the possums, wallabies or owls at night. Walk in the garden or climb the BIG HILL. 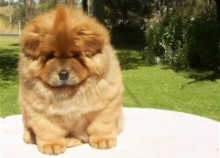 We have Chow Chow dogs and silky chooks. 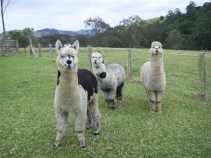 Apache and Bonnie the ponies, Misty and Storm the alpacas, and Clarabelle, Dolly, and Paddy the cows, with calves. All friendly. Try our free range eggs for breakfast! Reverse cycle air conditioning and a ceiling fan. Bedroom with double bed. Fully self-contained kitchen, dining and lounge area. Bath, shower, toilet and verandah. Bedroom with double bed plus single bed, evaporative cooler and fan. BIG rumpus room with ceiling fans, 68cm TV, and additional queen size bed. Laundry, shower and toilet. Note: Smoking is not permitted in the cottage. T.V. & Video, fridge, elec. stove, microwave, sandwich press, jug, toaster etc. All kitchen utensils, crockery and glasses. There is also a four burner B.B.Q. downstairs. On arrival - tea, coffee, milk, fruit, eggs, soft drinks. - This applies only to two people sharing. Book early for the holiday seasons.